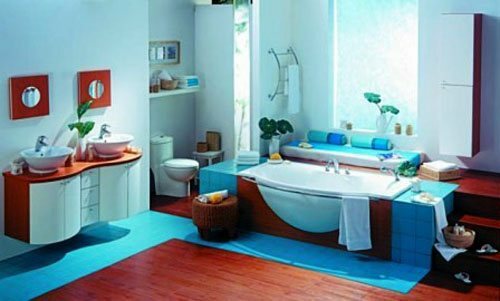 Your bathroom or a washroom is not consider just a utility these days and these special bathroom decorating ideas is really going to help you to setup it in a much more professional way. 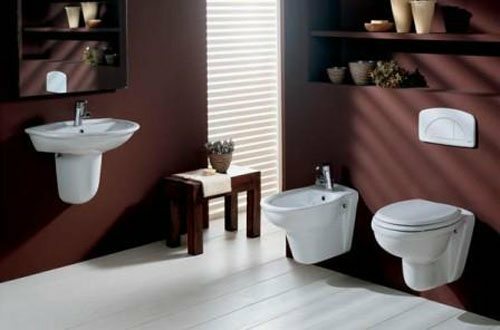 People are seen their toilets as a room or space that sets the mood of the rest of your day in the morning, where you can spend some time with just yourself and pamper yourself, free from the worries of the world. 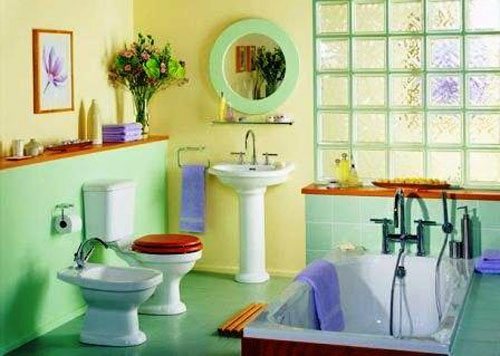 Most of us usually start our day by using the bathroom so Designing your Bathroom or Bathroom Decoration professionally play an important factor in your house when you are building it. 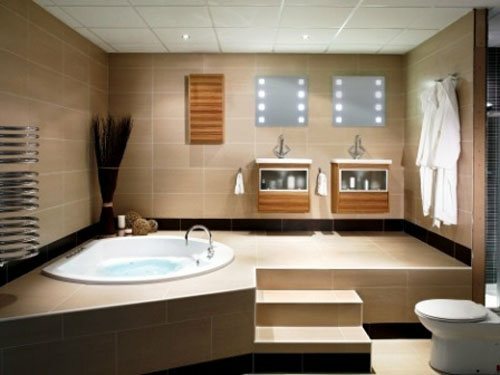 Let’s say if you are thinking about Bathroom Decorating Ideas and these days master bathroom or luxury bathrooms include at least a toilet, bidet, two sinks, separate tub, shower, whirlpool or spa and perhaps more. 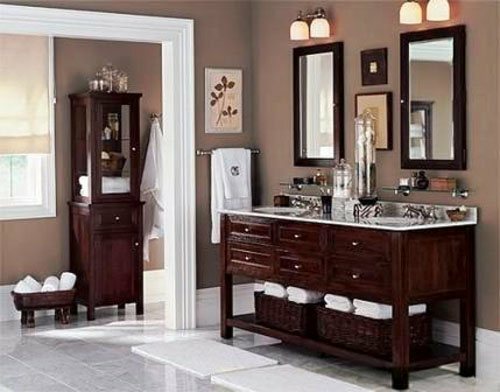 So surely it’s not an easy task for you to think about your Bathroom look. 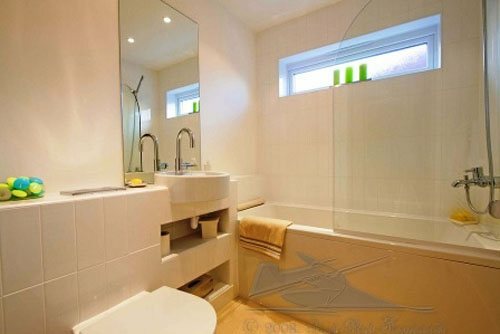 Another kind is called half or small bathrooms that only have a sink and toilet. 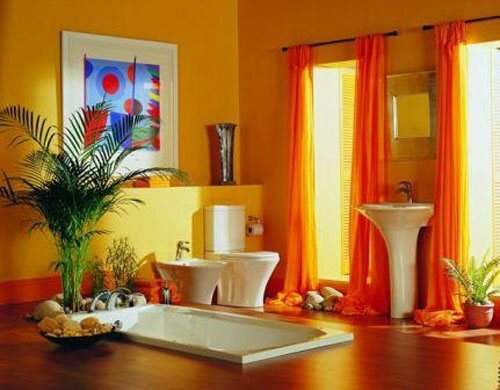 We usually keep it for our guest or relative so decorating that bathroom is also important. 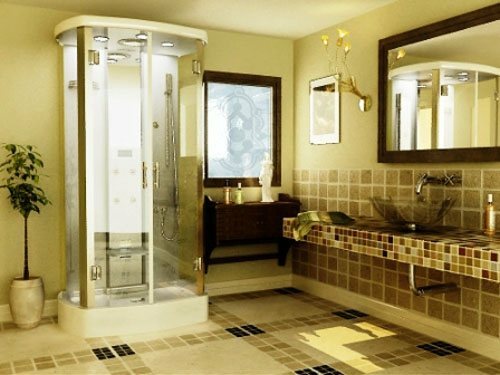 In the below bathroom Decorating Ideas you can feel that even smaller space may just have shower area or corner shower stall instead of both tub and shower. 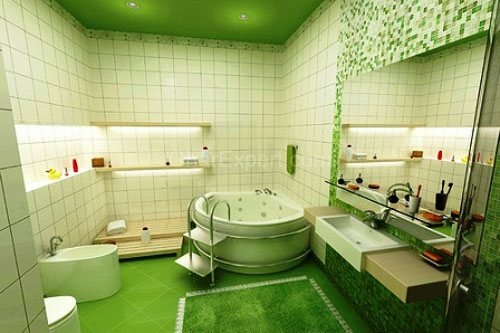 Children’s love their bathroom; they do not consider it as a space they feel it like a room so decorating their bathroom with colorful themes will give them energetic feel. 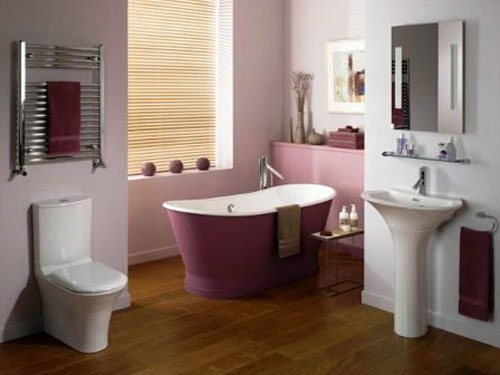 We always give extra care on Children Bedroom and Bathroom Decorating Ideas. 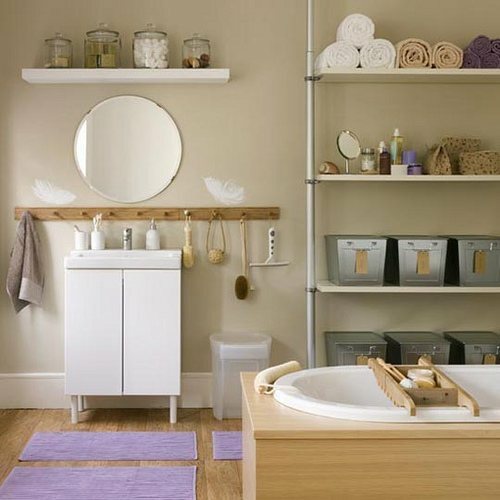 Decorating your own bathroom sounds easy enough as compare to children. You have your toilet, your tub, a counter-top, a sink and you’re done, right? 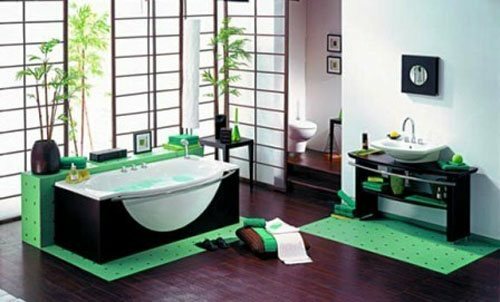 Wrong decorating a bathroom is harder than it looks if you actually care about interior design. 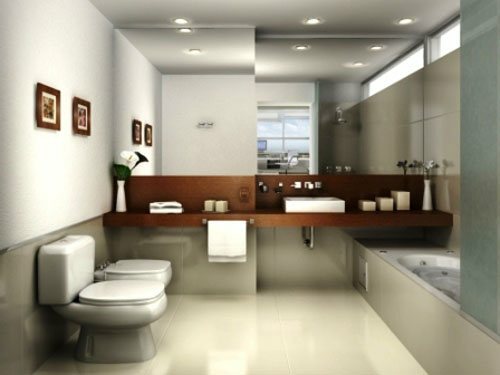 Interior design for bathrooms involves much more than just where to put your toilet and tub. 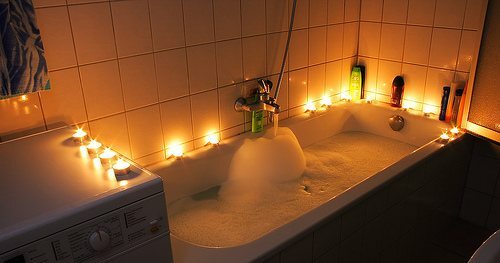 New Lighting: Simple and cost effective. 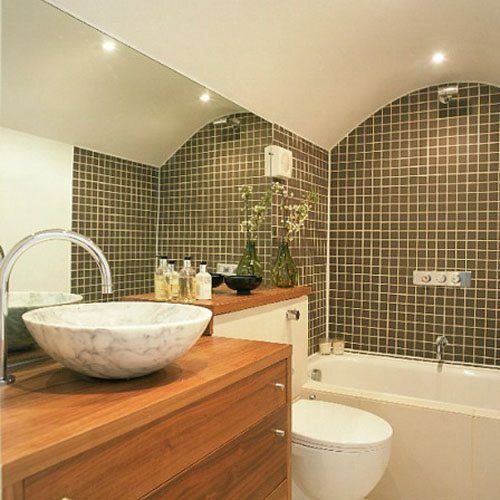 One of the most overlooked things in a new bathroom is the lighting, which is often the most cost effective way to add a touch of brilliance to your new bathroom. Making it match or total make over? 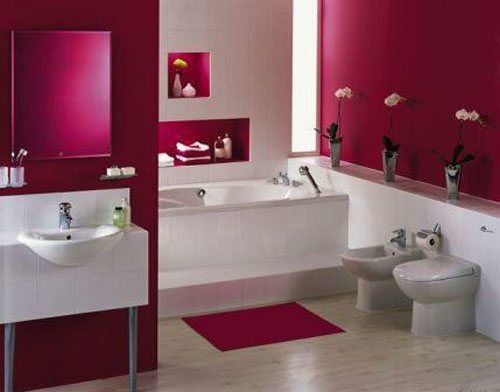 A great idea for a cost-effective design plan is to decide on hardware that matches your current tile and counter tops. The faucet is yet another simple upgrade that should not be down played. An artistic faucet is an affordable addition that will keep your bathroom looking amazing. Here are a few unique photos that may spark your creativeness for your next photo session. 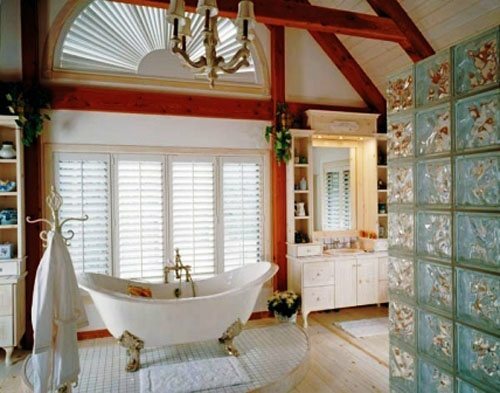 These are some really good bathroom designs! Good features here. 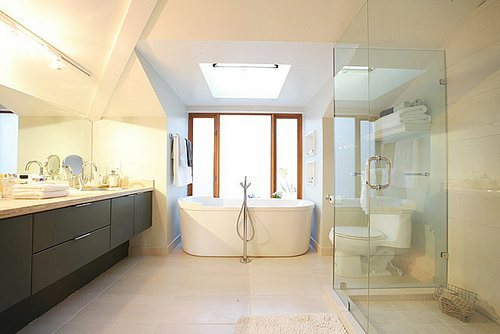 I like how glass doors are used in the bathroom to help make the bathroom look larger. 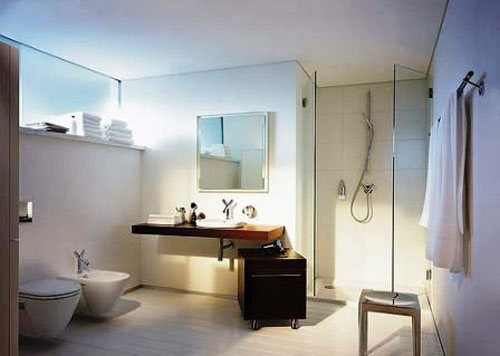 Glass doors are also great as they are very suitable for wet environments. 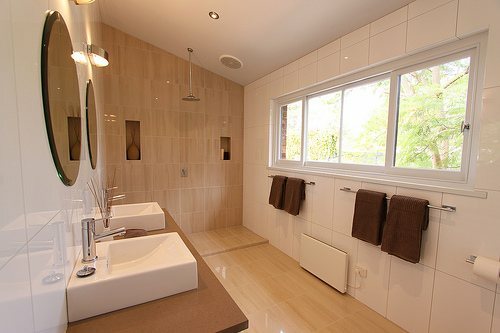 Many people neglect the design of their bathrooms, thinking it’s just at outhouse, but these people overlook the fact that a well designed bathroom not only makes your visit there pleasant, it also helps keep the bathroom dry and safe. 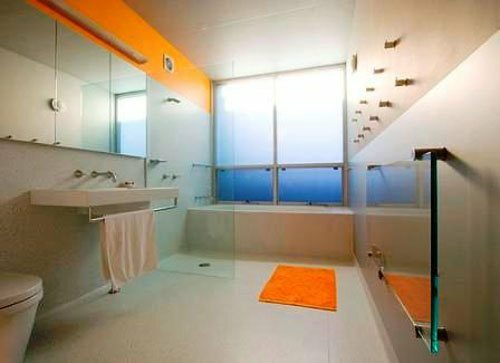 A well designed bathroom will always have windows with proper screens to not only provide privacy but help with ventilation, thus eradicating spells caused by moisture.